By BORDER EXPRESS si 96 (1985) 2 wins, $14,196. Qualified to the Sun Country Futurity -G1. Sire of 27 ROM, 6 stakes winners, 10 stakes placers, earning $372,955, including MIA BORDER EXPRESS SI 97 ($58,655, Alabama Juvenile S. [R], etc. ), BEDUINOS EFFORT SI 94 ($30,205, Alabama Bred Fut. [R] G3, etc. ), LS EASY ROLLER SI 97 ($29,530, Alabama Juvenile S.[R], etc. ), JDJ EXPRESS SI 94 ($28,977, Dixie Stallion Fut. [R],Alabama Juvenile S.[R] etc. ), KAP KRUNCH SI 87 ($30,835,Shebester Fut. G3, etc. ), FLYING P EXPRESS SI 87 ($6,847, AQHRA Alabama Bred Fut. [R]), Special Referral SI 95 (9 wins, $36,369), JDJ Special Dream SI 84, Cassie Smith SI 86, Border Special SI 87, Borders Go Go SI 82, Borders Jet Express SI 89, LS Top Moons Express SI 96, LS Go Savanah Dancer SI 88, etc. 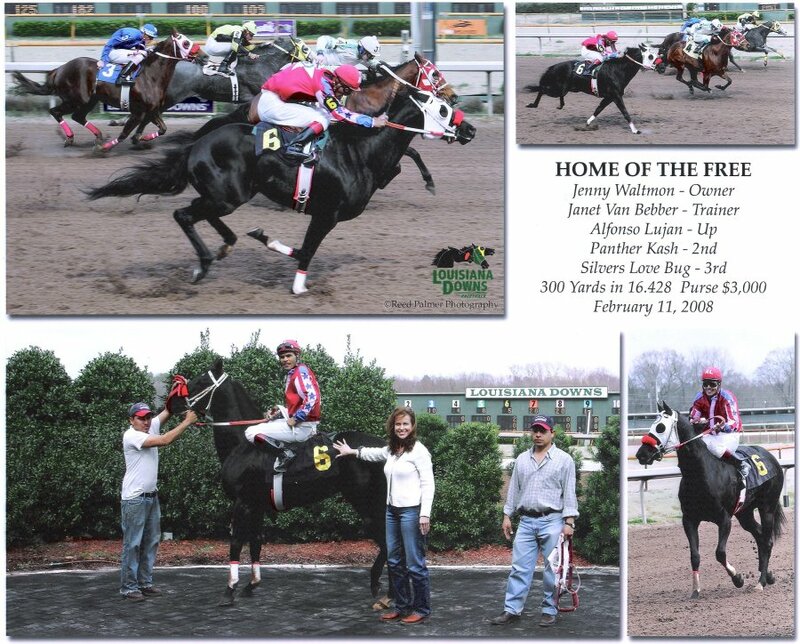 As a Show Sire, his get have earned 25 Open points, 7.5 Amateur points, and 6.5 Youth points, including CAT MAN EXPRESS (2005 Youth Qualified Jumping World Show), LS Partytime Express SI 86 (Open P- 8.5 pts), QUEEN OF THE BORDER (Open P- 8.5 Amateur P- 7.5 Youth P- 1.0), A Little Special SI 82 (Open P- 3.0 pts), GO SAVANNAH EXPRESS SI 89 (Open P- 2.5 pts), etc. MS Secretariat si 93 (f. by Syntariat TB). See above. 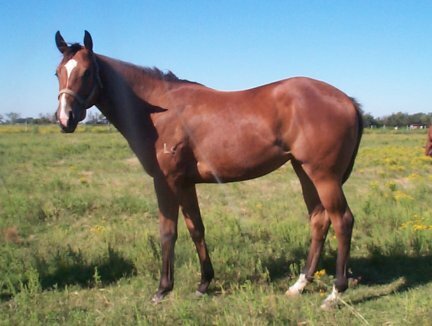 Saline Kinderdspirit si 88 (f. by Man in the Money). 2 wins, $2,976. Pass N Review si 79 (f. by Pass 'Em Up TB). winner, $420. Winsome Lad si 90 (c. by Jet Charger). 5 wins, $7,297.